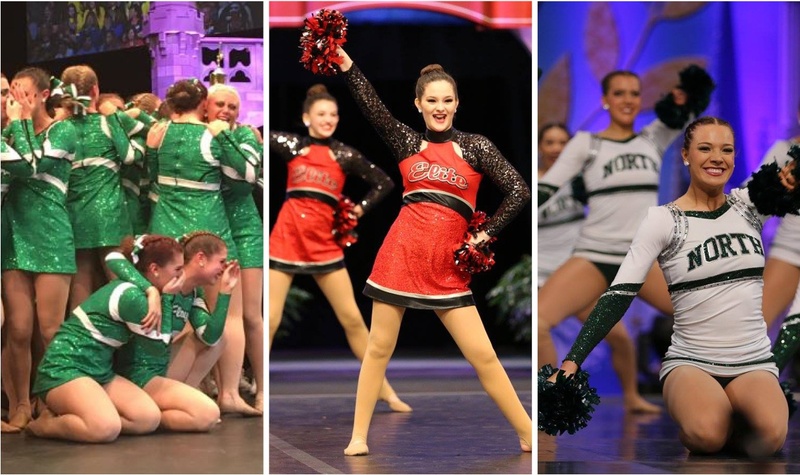 It was a whirlwind couple of days for high school teams this past weekend at NDTC Nationals! If you're a dance fan like ourselves, odds are you skipped the Super Bowl and were live streaming UDA Nationals instead! With so many teams coming together at the largest national competition for dance, it's always fun to see the wide range of costume styles! 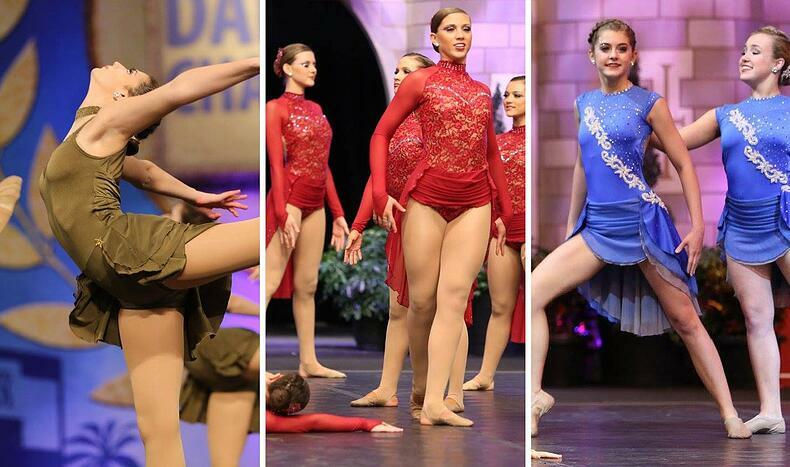 Here were a few of our favorite dance costume trends from the competition! While we can't take credit for creating many of these costumes, we were lucky enough to work with quite a few teams!! We saw a couple trend-setting teams wearing bomber jackets for hip hop. Love these lace and satin bomber jackets - the fabrics give them a girly edge! Feminine yet trendsetting, it's a look we'd want to wear outside of competition too! If your jazz costume had a skirt, odds are it was of the open front variety! It's a modern twist that maintains a little modesty without going full-on leotard. Mesh was an essential fabric for these skirts - perfect for creating a flowy look! 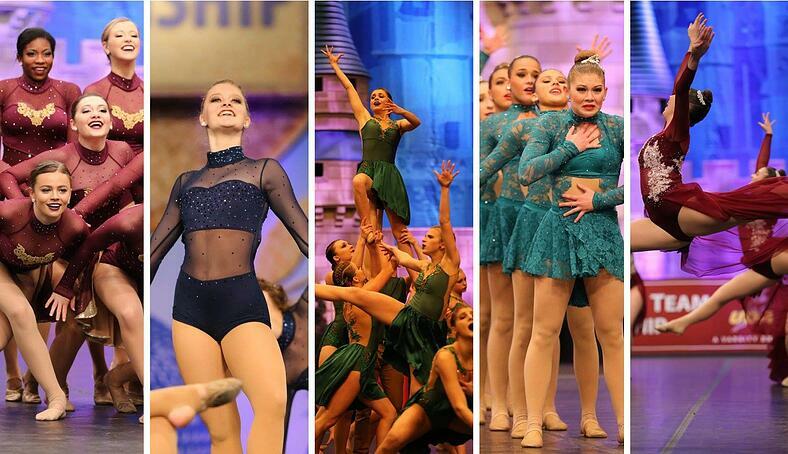 Jewel tones still reign - and there was no shortage of ruby, navy, teal, and emerald costumes! These muted, luxurious colors provide an updated look to any costume, and were used in lieu of a lot of bright colors. We couldn't help but notice that every and all pom costumes sported some form of bling. Whether it was all-over sequin fabrics, sparkly insets at the arm, rhinestone trim, or bling logos - sparkle has become a pom essential! For more costume trends, check out our 2017 ULTIMATE TRENDS GUIDE!